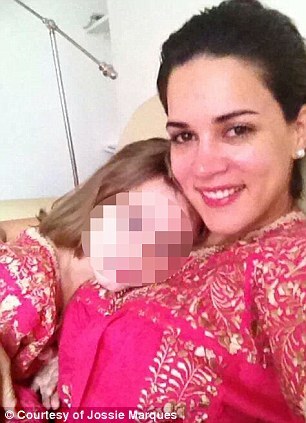 Monica Spear’s father today told MailOnline that he intends to fight for the custody of his five-year old granddaughter saying he wants to take her back to the US. 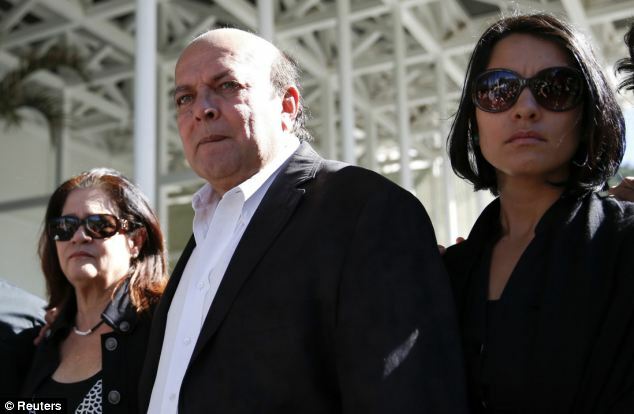 Rafael Spear, the father of the former Miss Venezuela murdered with her husband in a brutal street-side robbery on Monday, spoke as it emerged the little girl, Maya, has been told the shattering news and will attend her parents' funeral. 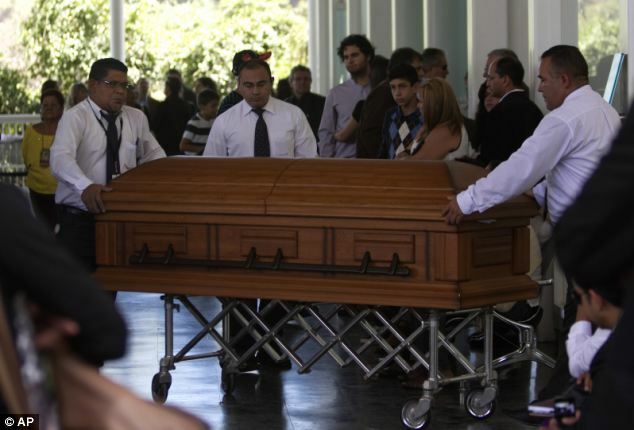 'It’s my aim to get Maya out of the country', Mr Spear said today in an interview at the couple's lying in state ceremony in Caracas’s East Cemetery. Ms Spear and her husband, Thomas Berry, will be buried side by side tomorrow. 'Maya is my priority now and I need the Venezuelan government to help me obtain her guardianship', he stated. 'We have an agreement with the Berrys that the best for Maya is to be outside Venezuela'. Meanwhile, Thomas Berry's father, also called Thomas, who moved from Britain to live in Venezuela thirty years ago, insists that the decision over his granddaughter’s future 'has yet to be discussed'. 'We are leaving all decisions about Maya until after the funeral proceedings', he told MailOnline. 'Such things have a time and a place and it is improper to discuss them now. The most important thing is that Maya is safe'. Should Maya remain with her British father's parents, she will move into their house in Los Palos Grandes, a secure and clean part of Caracas. Rafael Spear, 61, who lives in Orlando, Florida, and is a project manager for Siemens said: 'I am an American citizen, my daughter was an American citizen before she was murdered, now I’m going to fight so that my granddaughter becomes an American citizen. 'This country is no place to grow up', he said, his voice choked by tears. Maya is currently in the custody of Monica Spear’s cousins in Caracas. 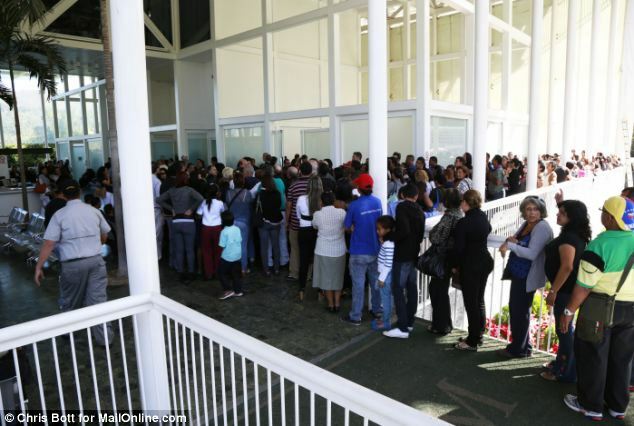 While Venezuelan law states that an orphaned child’s custody is transferred to the maternal side, the fact that all of Monica Spear’s immediate family live outside the country may become problematic. The Berrys, Maya’s paternal grandparents, have lived in Caracas for over thirty years and would be the preferred option for a government which is strongly anti-US.